Partly autonomous and partly controlled, Readybot is a household robot that unlike Roomba features arms that allow it to perform tasks more varied and more humanely. Its software was developed with a trial and error algorithm that resulted in a reliable behavior when left alone to operate. 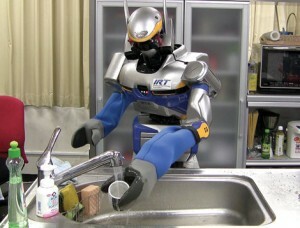 The robot can be controlled remotely through Internet. It can work in coordination with other readybots. It is modular, you can change items to suit one type of task. And the programs can replaced. Bringing you what you need: paper, drill, etc..
And now he goes from home to the factory or it will be used for manufacturing tasks and routing. Video: How to store toys for her children without leaving his magazine. There are many Readybot video on Youtube. The household robot is able to do the dishes, cleaning, and performing other household tasks. It was developed at the University of Tokyo. To educate it were used videos of simulation games and interfaces for capturing motion of humans. 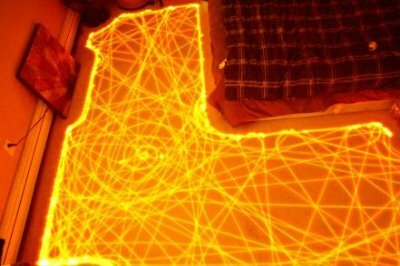 3D sensors are in work to give it a better appreciation of its environment. As can be seen in the photo, it needs special waterproof gloves. It is unfortunate that this manga look not suitable for cleaner. The laboratory site has more photos of HRP-2JSK. Roomba the cleaning robot has already been sold millions of copies. It's so tempting to plug a machine and watch it do the work for you! 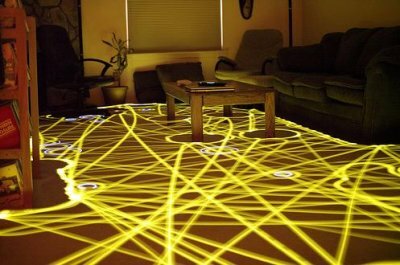 Among other equally unexpected uses, several Roomba simulating the game of pacman! and Roomba and the cat. It can attack the dog that was taken by surprise! 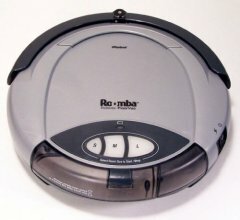 Several videos on YouTube show that cats like to walk back to Roomba. 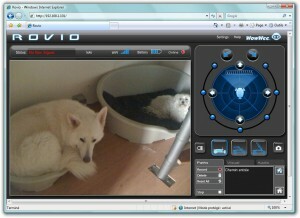 It is a small robot for remote monitoring, currently marketed for 300 US $. With three wheels and a steerable camera also adjustable, Rovio is controlled via Internet through a wireless connection. It is not required to remotely control it like a car, even if this is possible because it can thank to its software receive global commands, like going for itself in a given location. A speaker and microphone allow the operator to communicate with a person or an animal in the place at distance, and collect any suspicious noise. 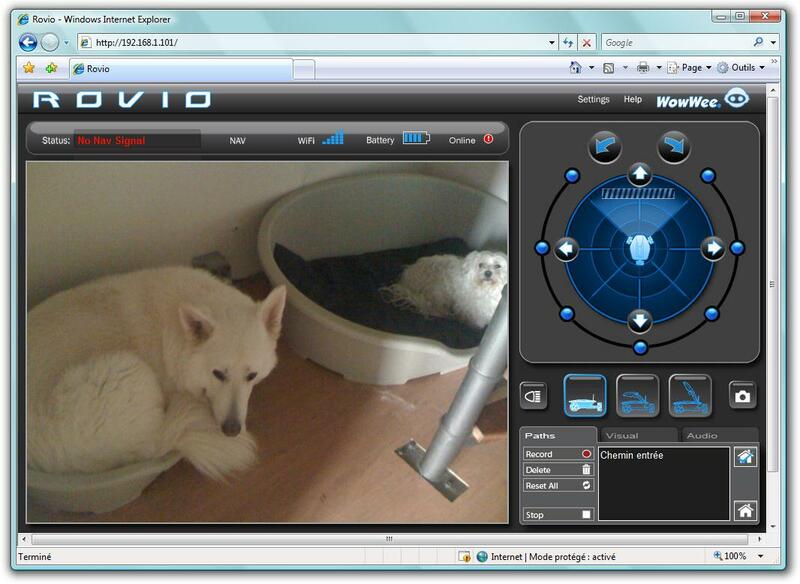 From the command interface, it can make a snapshot of the scene viewed by the camera. A single command is enough to send it to the dock to recharge its battery. The Internet command panel can use any type of computer, including a smartphone and any type of operating system. The control panel is centered around a radar surrounded by blue chips representing directions and a view of the scene. The mouse controls the movement on the radar that displays the potential barriers in the form of black spots. An infra-red sensor and a pressure sensor True Track detect obstacles.